Another one of those items for pet lovers! 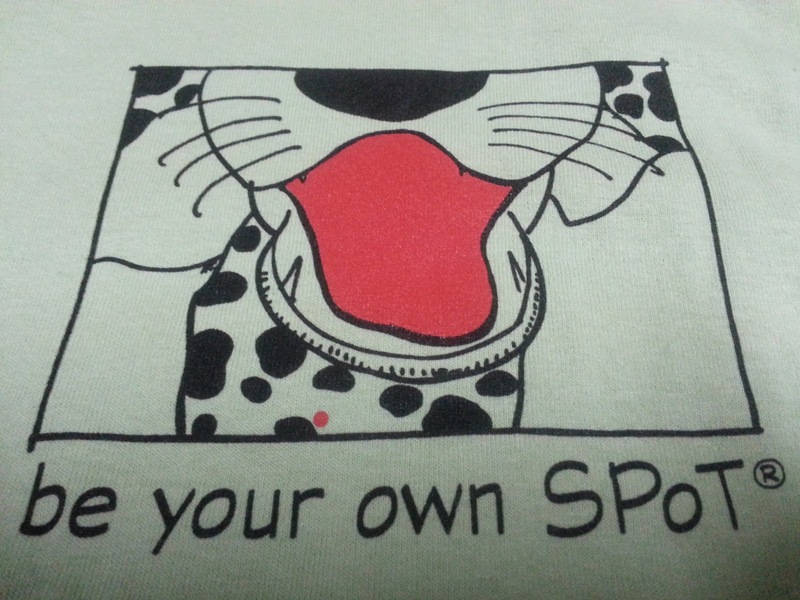 Today, I'll be reviewing the SPoT oN: be your own spot Tshirt. Wow, that's a mouthful! 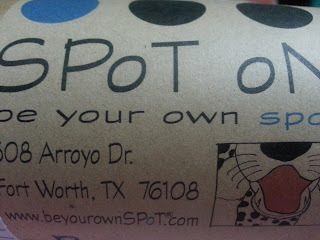 SPoT oN be your own spot® mission is to offer outerwear that encourages individuality while contributing to our community. Everyone is different. Everyone has a place in our world. Our products encourage embracing who YoU are. 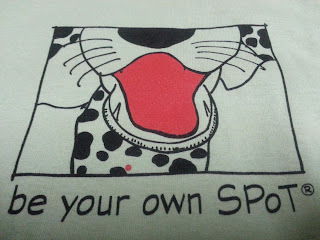 SPoT oN be your own spot® vision is, in 5-10 years, be a casual clothing line produced under our own label and manufactured in the USA that provides a source of inspiration to adults and children alike, as a way for them to express their individuality. Our goal is to give back to the community by contributing to a variety of causes that help children become self assured and comfortable being who they are, and of course, finding their SPoT. 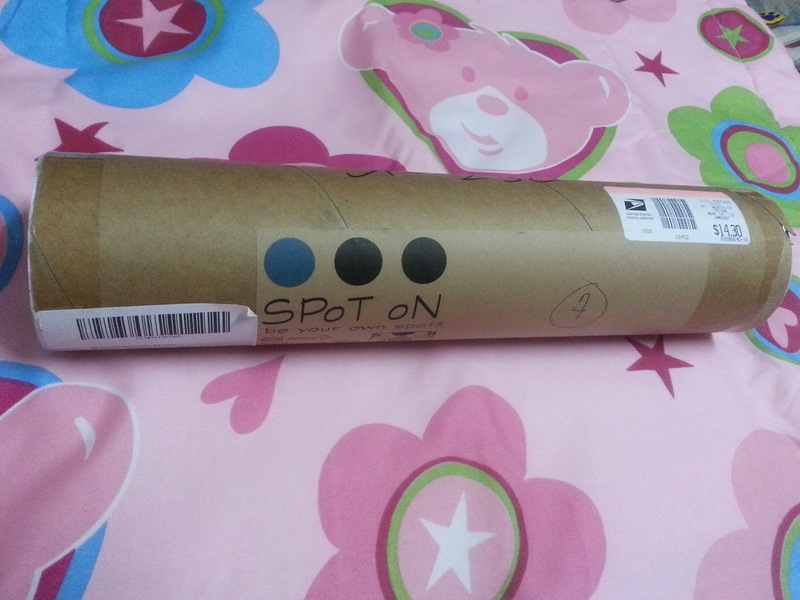 The shirt was sent in this cute, and stylish cylindrical tube. Perfect! It's not your usual squash-the-shirt in a lame old box plus the cylinder can be reused for so many different things. 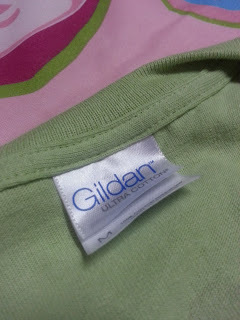 Unlike most shirts found in department stores, this one features a very simple, cute and minimalist design. It has a really whimsical and fun aesthetic. Here's a close up of the shirt label. A very comfy wear perfect for a walk in the park, family outing or just any random activity. I personally prefer to wear t-shirts most of the time. It gives more freedom to movement and I could just spring into action whenever I want to. Cotton comfort is just one of the most amazing things for our closet. 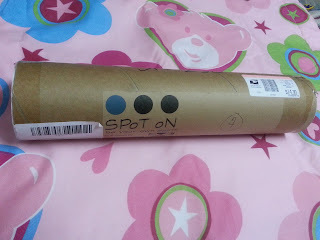 One thing I like best about spot oN is that their shipping labels, hang tags are made from 100% recycled content. Now that's a company with good ethics! I think this brochure/poster is recycled too. I like this better than glossy paper. Something out of the box just for once. I do have a few minor complaints. The site doesn't have a sizing guide. At least not that I'm aware of but it would be really helpful to have one. I also think it should have a FAQS section that should include shipping and payment information including a customer guide. Now, pushing those aside, it's actually one of the most easiest site to navigate and checkout, so points for that. I also wish that they would offer more color varieties. Neons would be great! They also have hats and decals but I can't really give my thoughts of that since I don't have it but if you do let me know what you think! 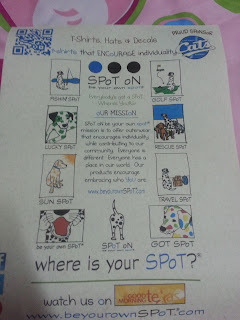 it has dog designs - need I say more? Do you have one of these shirts? If you do, let me know your thoughts about it. Disclaimer: All opinions are honest and of my own. I do not receive any monetary compensation for doing this review.